Piyush Goyal-led Railway Ministry recently released a video, informing about the cancellation and refund rules of Indian Railways and how one can avoid monetary loss from ticket cancellation. 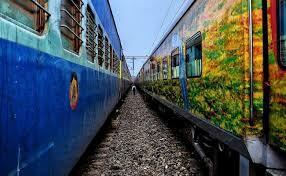 your IRCTC next-generation e-ticket due to last moment emergency? Did you get a refund? If you are not familiar with cancellation and refund rules of Indian Railways then you may incur a loss in future while cancelling a booked ticket. On cancellation of tickets booked under Tatkal quota, no refund is granted by the railways. However, in case, the train is delayed by 3 or more hours, passengers can claim for the refund by filing TDR (Ticket Deposit Receipt). Meanwhile, it should be noted that if the ticket has been booked through the railway counter, then passenger can claim for the refund by filing a TDR form, providing the PNR number along with other required passenger details. When i can get refund for my partially canceled tickets? Canceled ticket for 1 person out of 3 before one week of journey.